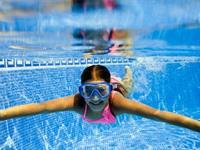 20 metre pool (staffed by qualified lifeguard) for everyone else. This is also heated. Great space surrounding the pools, perfect for sunny afternoon picnics. The gardens and castle at Lowther have laid abandoned for 70 years and in 2011 opened for the first time since 1938. Visitors can follow simple routes through the 130 acres of gardens and castle terraces. 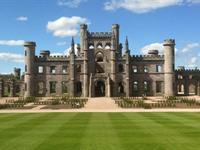 Lowther Castle and Gardens is undergoing a major restoration project. Much work has been done to stabilise the main castle building, and to bring the gardens back from a wilderness. Lowther Castle has been the family seat of the Earls of Lonsdale for centuries. Kendal Calling is an independent music festival held annually at Lowther Deer Park in the Lake District, Cumbria. It has grown from a two-day, 900 capacity event in 2006 to a 12,000 capacity three-day music festival. Kendal Calling has 9 stages and has featured live performances from notable artists such as Blondie, Pendulum, Doves, Dizzee Rascal, James, Mumford & Sons, Calvin Harris and British Sea Power. 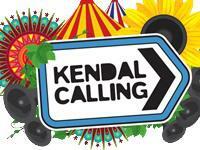 In 2010 Kendal Calling was awarded the Best Small UK Festival Award at the UK Festival Awards, as voted by the public. Kendal Calling also won the industry award 'Best Small Festival' at the LIVE UK awards 2011.